While many of the latest, shiniest fitness trackers start at $100, you don't have to spend that much to get an effective high-tech health helpers. In fact, you can find a great selection of fitness trackers under $50 with all the features you're likely to need. While they won't have the bells and whistles of high-end fitness trackers like the $330 Garmin Forerunner, these trackers can handle basic step tracking to help track your activity and motivate you for more. The prices of the trackers we've listed here range from $19.16 to $49.99. While these trackers have fewer features than their pricier counterparts, you can expect step tracking and the ability to set fitness goals and wirelessly sync with your computer or phone via Bluetooth. Some trackers offer more advanced tracking like automatically tracking exercise and sleep, and one of these trackers even monitors your heart rate—a great deal for a gadget under $50! You’ll also find budget trackers with a benefit higher-price trackers eschew: replaceable batteries. Remembering to recharge your fitness tracker every few days and fumbling with complicated dongles can be frustrating, while swapping out a battery every six months is easy. These budget trackers are made from somewhat cheaper materials than more expensive trackers, typically plastic rather than aluminum or other high-end materials. Many don’t have screens for displaying information; you'll have to consult your smartphone to find out what they've tracked. Their accuracy can be less reliable, too. Low-end trackers worn on a wristband are more likely to track hand motions as steps, while higher-end gadgets are usually smarter about classifying different types of movement. Style is frequently lacking here, too, with fewer customization options and larger sizes than comparable products at higher price points. If you're fine with a tracker in a rubber wristband that comes in a variety of colors, a low-end tracker will be fine. But if you want something with a high-end leather band or a fashionable pendant holder, you'll need to look at pricier trackers. If you're looking for a fitness tracker with solid, basic performance without spending much cash, try one of our five favorite trackers under $50. Fitbit makes the most popular fitness trackers on the market, and even their budget tracker is a solid option. It covers the expected basics by tracking steps, distance and calories burned, but this budget tracker won't track your sleep or wake you up with an alarm. Like the Misfit Flash, it has a replaceable battery that can last for up to six months — convenient because you'll never need to worry about charging. So where does the Zip stand out? In part, you're buying into Fitbit's reputation for high-quality fitness trackers that last, yet the lowest-cost trackers can be on the flimsy side. The Zip has a plastic body with a rounded rectangular shape measuring just 1.4 inches tall. You can drop it in your pocket or fit it into a snug silicone case with a clip to attach it to your bra or waistband. Unlike many trackers on this list, the Zip has a small LCD display, so you can see your latest data without pulling out your phone. There are no buttons. Tap on the screen to cycle through options on the display. If you want to track data over time, it syncs with your smartphone or computer so you can easily access everything. What you're paying for here is the Fitbit brand and the LCD screen. Like most of Misfit's trackers, the Flash is a slim, circular disk that fits in a clip or wristband so you can wear it however you'd like. There's no screen here, just a series of 12 LED lights around the edge of the circle that show how close you are to meeting your daily fitness goals. The Flash tracks the number of steps you take, the distance you've traveled and the calories you've burned — all the features you'd expect from any tracker. It also tracks sleep, which not all low-end trackers do, and can automatically tell when you're doing certain types of exercise including walking, running and cycling or playing soccer, tennis or baseball. They're nice additions to the basic feature set. The best feature of the Flash is its battery life: up to six months, at which point you just swap in a fresh watch battery for another six months. That beats out any $100-and-up tracker, most of which won't last a week without charging. For a little more money (but still under $50), try the Misfit Shine, starting at $43 on Amazon. It has all of the features of the Flash plus better sleep tracking (tracking light and deep sleep cycles) and an aluminum body that's waterproof up to 50 meters. Since the Shine automatically tracks swimming as well as the Flash's other exercises, it's the perfect budget buy for swimmers. There's one thing most trackers in this price range lack: style. But Jawbone's Up2 tries to balance both style and budget — and does a pretty good job of it. 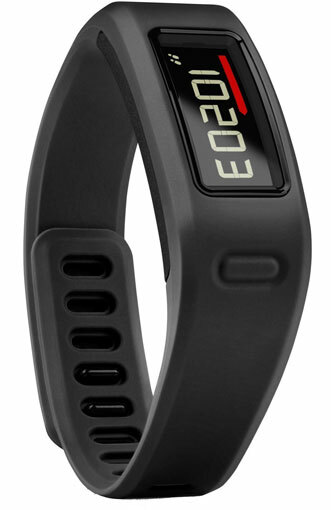 The tracker is made of lightweight aluminum (only 0.6 ounces) fitted in a slim rubber band. The body has a geometric pattern etched into the surface and may contrast or blend into the band itself, a look that’s as sleek as some pricier, fashion-forward models. That style does mean you miss out on a screen, but if you're looking for something that's both fashionable and budget-friendly, this is your best choice. Where the Up2 really shines is the smart coach feature in the companion app. This virtual coach offers customized advice for a healthier, more active lifestyle. It's not quite a personal trainer in your pocket, but it's a lot cheaper than going to see one. Talk about a great buy! The Xiaomi Mi Band Pulse is the only band on this list that can track your heart rate, a feature usually found only on trackers in the $150 range. What you're giving up by paying $24 instead of $150 is continuous, automatic heart rate tracking. To get your heart rate, you have to grab your phone, go to the right menu and stand still while the Mi checks your pulse — and breaks like that in your cardio routine aren't usually desirable. Still, at this price point, it's a feature you won't find anywhere else. Beyond heart rate tracking, the Mi Band covers the basics, tracking steps, distance, calories burned and sleep. Its accelerometers track your sleep by monitoring how much you toss and turn during the night, and the Mi Band checks your pulse every ten minutes to get a clearer picture of how you're sleeping. Unfortunately, the sleep data displayed in its companion app isn't more comprehensive in what you'll find in sleep trackers without heart rate monitors, and using the heart monitoring feature can cut the Mi's 10-day battery life in half. Rounding out the feature list is a silent, vibrating alarm to get you up in the morning, another handy feature that not all trackers in this price range have. The design is pretty basic. 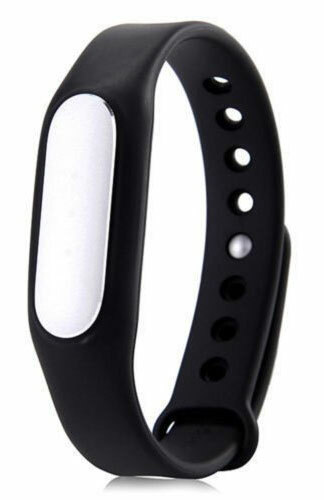 The tracker is an oblong gadget that fits into a band on your wrist. There's no screen, just three LEDs to indicate your progress towards your daily goals. Everything else, you'll find in the app. The second tracker on this list with a screen, the Vivofit is a basic wristband with a narrow, rectangular display that shows your steps, distance and calories burned. It also acts as a watch by showing the time. It can track sleep, too, but unlike the others, it doesn't do so automatically. You have to press a button to activate sleep mode. While it doesn't have a built-in heart rate monitor, the Vivofit can connect to any ANT+ wireless monitor to track your heart rate — a nice way to upgrade your tracker if you later decide you want to monitor your heart rate. Vivofit's battery life is where it really stands out from the pack. The replaceable battery lasts a full year, meaning no worries about charging (though arguably, the six-month battery life of the Misfit Flash or Fitbit Zip is quite good enough). This is a huge improvement over the week to ten days of battery life you'll find on high-end trackers. This gadget's most interesting feature is move reminders, a red bar that shows up on your display if you haven't moved for an hour. If you stay still, the bar grows, but if you get up and spend a few minutes walking, it will vanish again. This feature is common on high-end fitness trackers and smartwatches, and it's a great addition to the under-$50 lineup. If you work at a desk, reminders to get out of your chair regularly can really boost your activity level. To keep you motivated, the Vivofit sets goals for you based on your regular activity levels, constantly encouraging you to do more. While the Jawbone Up2's smart coach has great advice to offer, Vivofit keeps things easy to understand: today, try to hit more steps than you did yesterday. My favorite is the Jawbone 24. But these are very good ones as well. Ok, I’m obese. Morbidly obese. And I thought I’d love to challenge myself with a pedometer in the past… work up to that magical 10,000 steps a day - well, my pedometer (the Weight Watchers one) didn’t record my steps… now, I’m not sure HOW they record how many steps you take - but I do know I step more than 27 steps in a day (that’s not even one trip to the bathroom!!!). I was told that my fat kept it from recording steps while on my belt. I notice the news ones coming out can go on the wrist or bra - how do they record your steps, and has there been any research on if they work on overly large people? Today’s high-end activity trackers are more sophisticated than pedometers and you shouldn’t have any trouble with them. They have 3-axis detection, which means they can be worn in more places, as you mentioned. 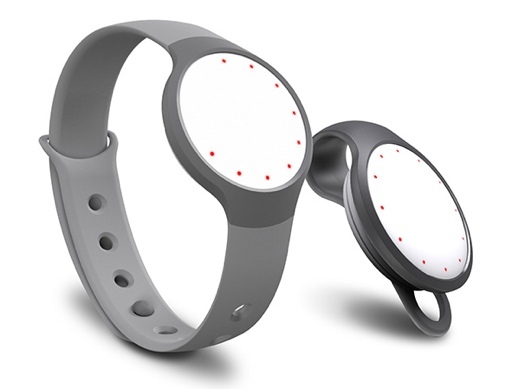 Right now, my go-to activity tracker is the Misfit Shine. I just clip it to my bra and can forget about it until I want to check my stats. If you’re looking for a device that will help motivate you, though, I’d check out the UP 24 by Jawbone. It will buzz your wrist if you haven’t gotten up in a while. I recently got the Misfit Flash and was super excited about it. I already have the Jawbone Up but was looking for something that would clip to me, since I do a lot of stroller pushing and the Jawbone wasn’t capturing steps when I wasn’t swinging my arms. The Misfit captured about 1/2 the steps daily compared to the Up. Also, it says it automatically captures sleeping. Well I had a newborn baby and was up multiple times each night. The Misfit only captures your first sleep period, and then counts you as awake. So it’s only good for people who do not get up AT ALL in the middle of the night, even to go to the bathroom. All in all, I think you definitely get what you pay for. The accuracy of the step count has a lot to do with where you clip the tracker. I’ve found with the Shine and Flash (both Misfit devices), it’s important to select where you’re wearing the device within the app. And if you’re not getting a good reading, try another location. I’ve found the best location to be on my shoe laces for working out, but it’s pretty accurate when clipped to my bra for regular tracking and runs. To get a reasonably good sleep count, you’ll need to manually tell the app when you’re going to bed.